Me and Sophie have had a pretty productive day today. 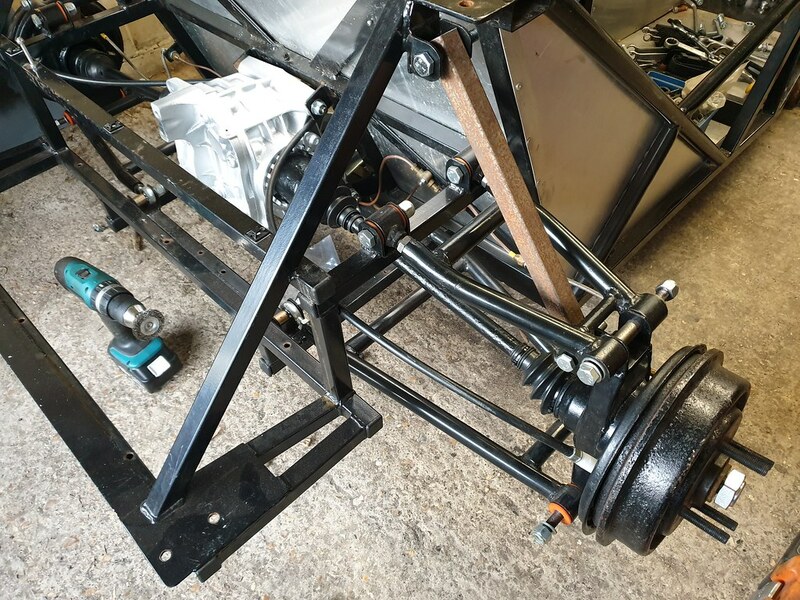 A lot of faffing around to get the suspension on the car and roughly set up. 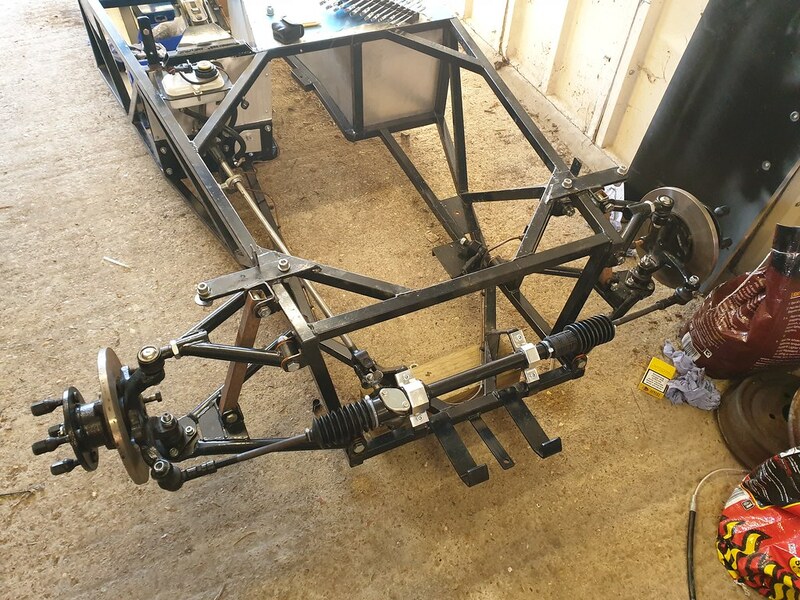 I need to make some extensions for the rack and modify the standard track rods as the Avon is a stupid width at the front. Also had to make some spacers for the lower rear wishbones - the book dimension of 80mm for their position appears to be incorrect. We've set them as far forward as they will go for now. Much complexity, be interesting to see how it handles as there is a lot of adjustabilty in the back suspension and none in the front. Time will tell. 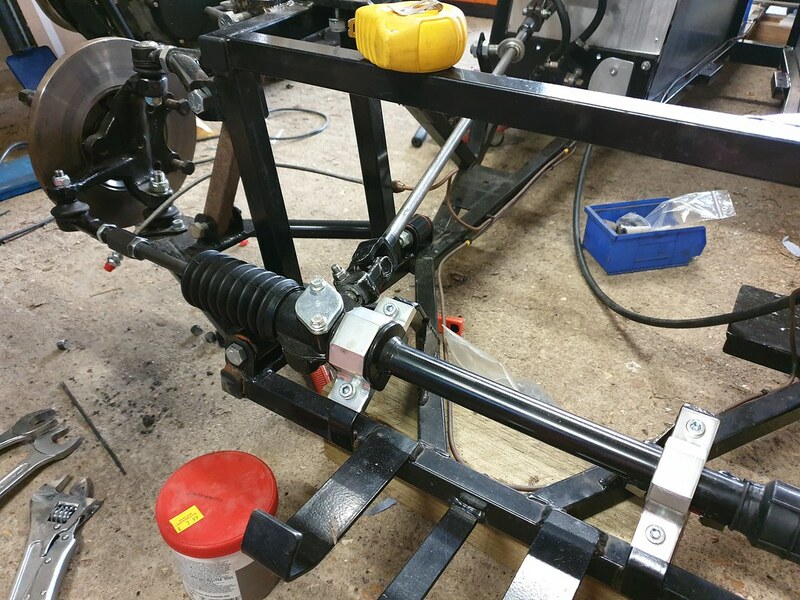 Fitted the new 2.9 turn steering rack - had to modify the packers than came with the clamps as even those weren't the right size, nothing is simple. Column all bolted up easily though. Removed the master cylinder, cleaned it up and painted it as it was rusty having been fitted bare. Re-routed the rear brake line and fitted proper p-clips rather than the plastic snap in clips in a couple of places. Differential fitted without much drama. Still a few modifications to do to some of the existing work, but nothing major, mostly tidying up and doing a few things to my own taste. I like this car, it looks dead simple to work on and should be good fun. How are you finding building the Pinto? 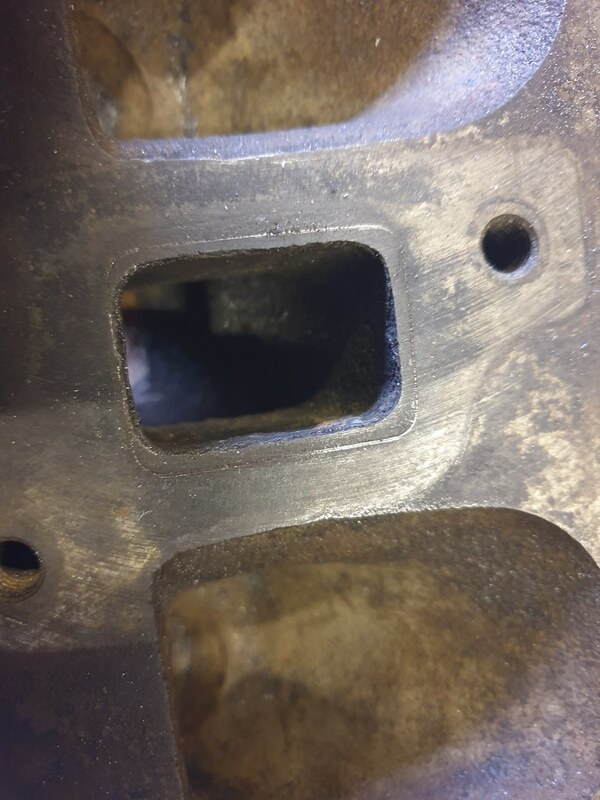 I've never dug into an iron block+head engine before. I've built a few pintos now. Dead easy to work on. But in all honesty the duratec and chevy engines I've worked with haven't been that bad either. 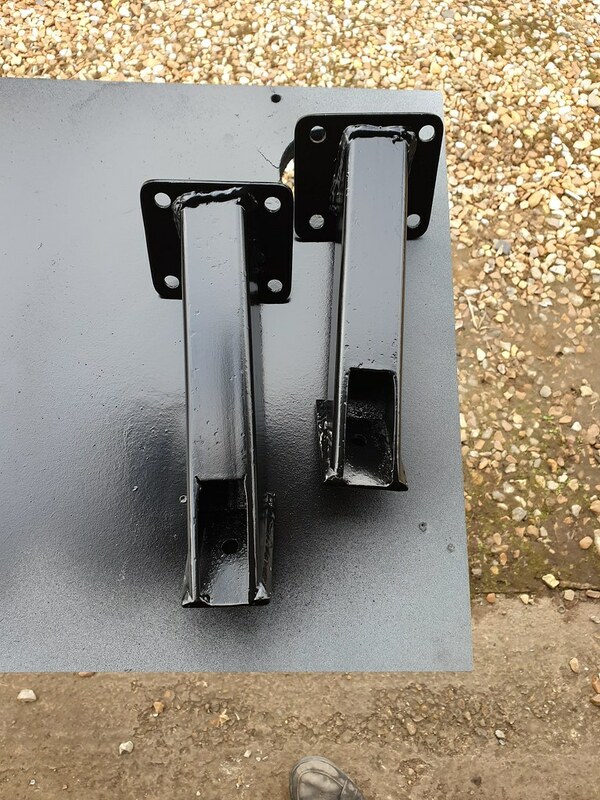 Been a busy few evenings cleaning and repainting parts ready to fit. Also went to see the guys at Tiger to pick up brake lines and rack extensions etc. Some of the parts that I collected with the kit needed a repaint having been sat around for a while. All simple stuff, but worthwhile at this stage. 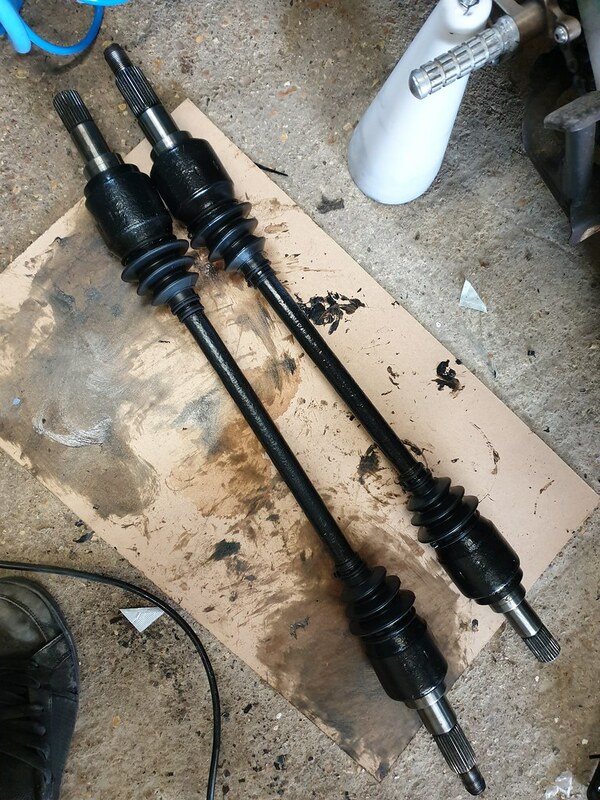 I also got the new CV boots fitted to the drive shafts, the old ones were shot and these stretch ones were fun to fit with the cone. Really messy job! Lots of stuff happening but I have been a bit tardy taking photos of progress. Need to sort some shocks. 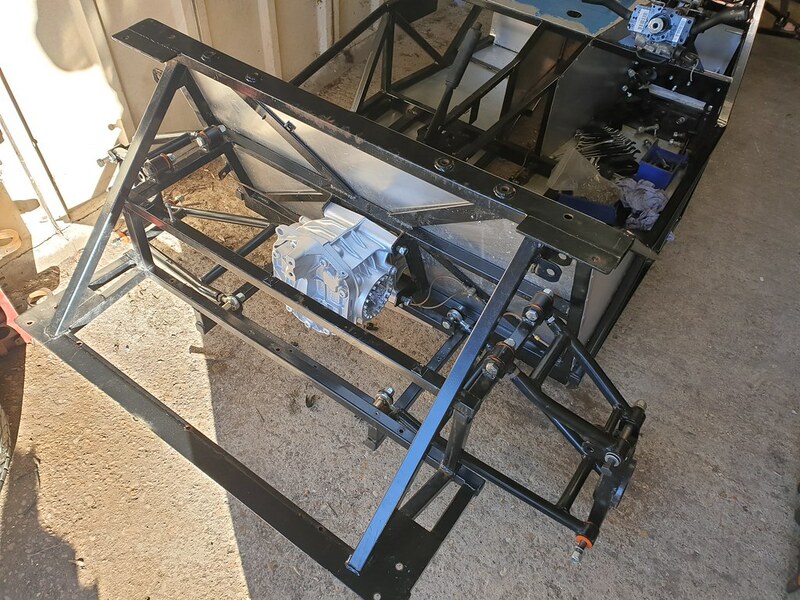 Front end is more or less assembled, rack modified, wheel alignment is done. 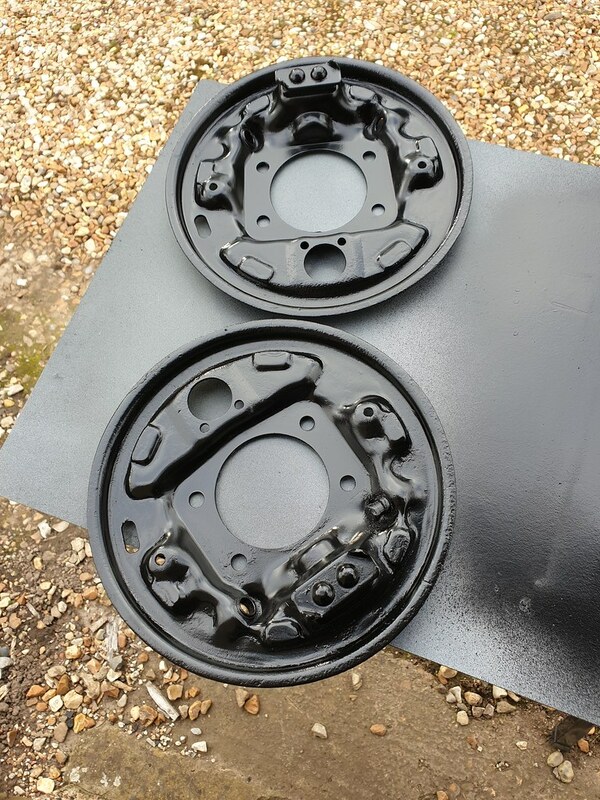 Have also stripped and repainted the calipers, new pistons and seals to go in tomorrow. The engine block, rods and new pistons are at the machine shop. 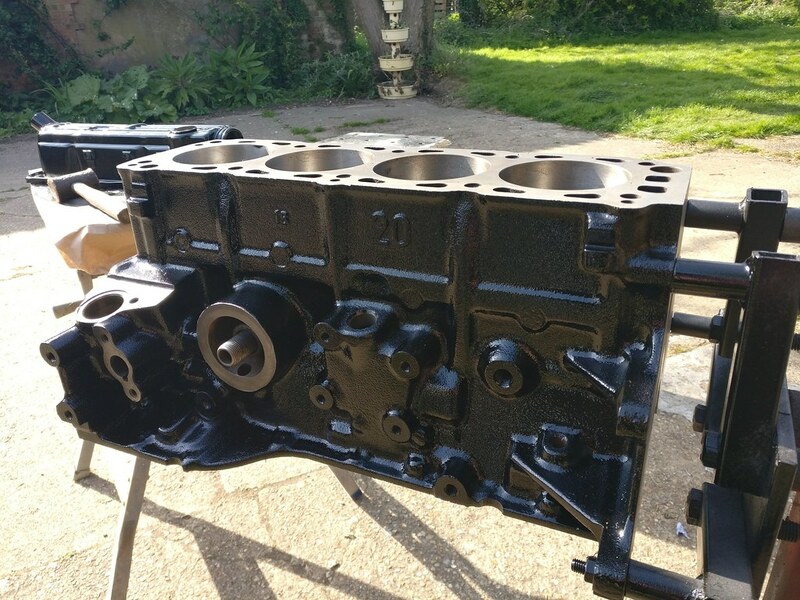 Block is being bored and decked, pistons being fitted to the rods (later wide beam ones). It should be ready for collection next week at some point. 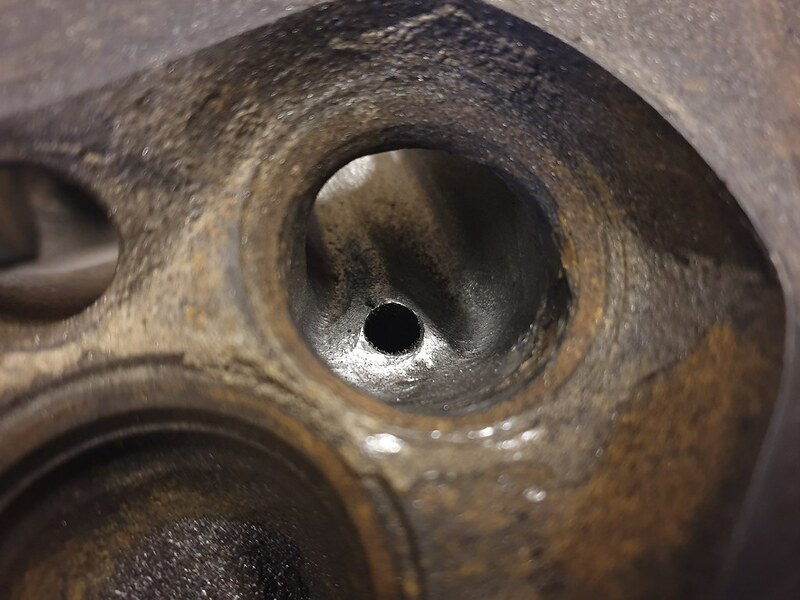 At the same time I will be dropping off the cylinder head to be machined for 44.4/38.1 valves and have hardened seats put in. Also skimmed to raise the compression. Before dropping it off I decided to get the bulk of the porting done on it. Mainly hogging all the material out of the exhaust ports and cleaning up the guides. Once it's back then I will do the final tidy up and smoothing work. The 4 exhaust ports are done - took around 3 hours - thankful for my big 3ph compressor and die grinder. I have also made a start on modifying the sump and have moved the filler neck on the rocker cover. Those are both going to the blasters later this week and will then be ready to finish off. 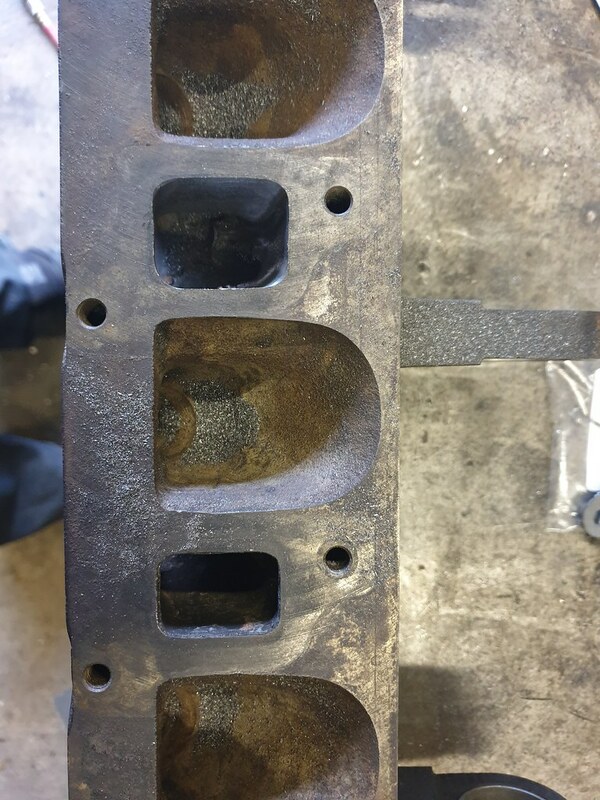 Picked up the block, pistons and rods from the machine shop last week. 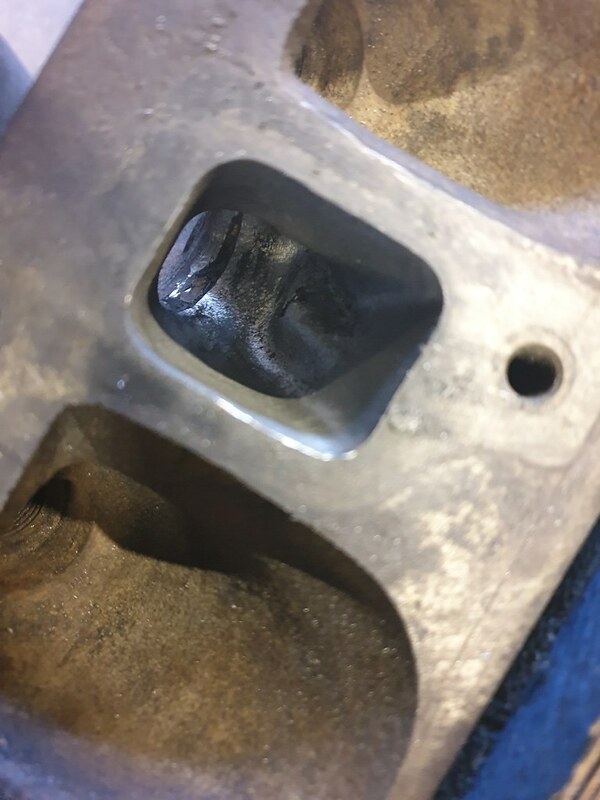 The block has been bored/honed 0.5mm oversize and the top face machine 0.5mm to bring the piston crown flush with the deck face. 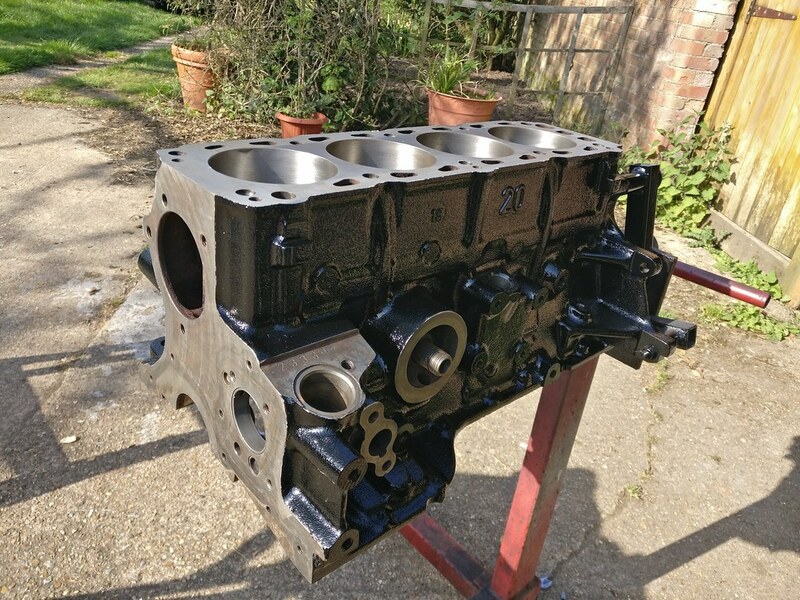 New pistons have been fitted to the later wide beam injection rods too. 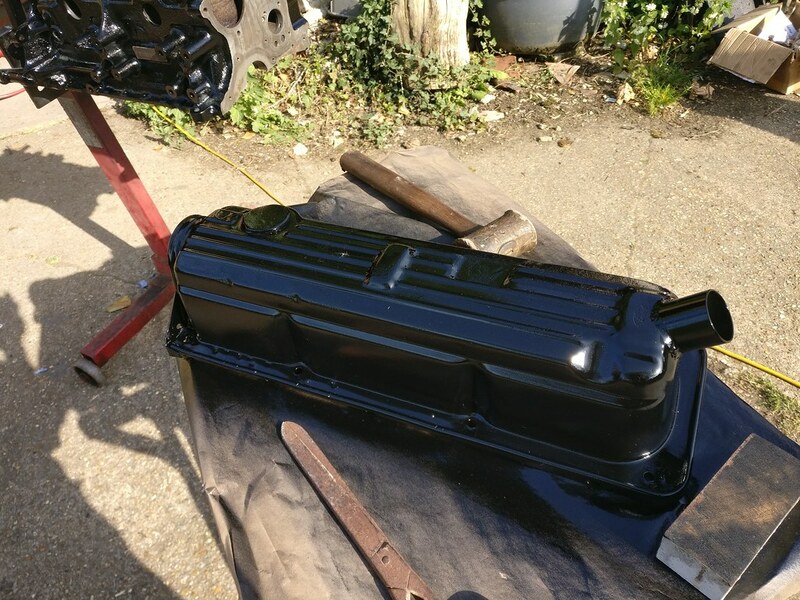 Sophie spent today cleaning the outside of the block and painting it, also had the modified rocker cover blasted last week so that got a coat of paint today too. All painted with epoxy primer followed by 2k black and clear. The rocker cover has some finishing touches to complete yet, those will have to wait until next weekend. I still need to finish the porting work on the head before it's dropped off at the machine shop for big valves and a skim.